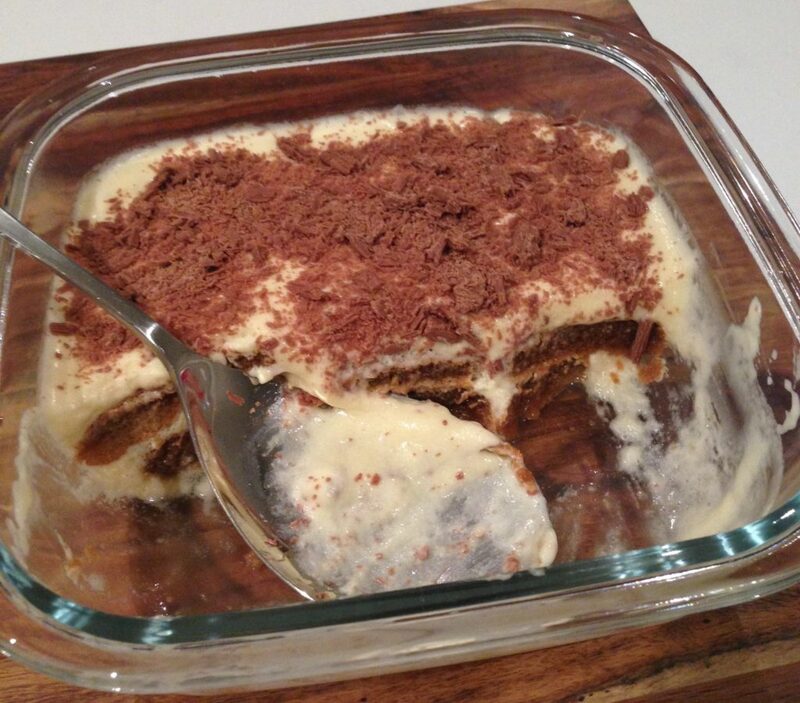 Tiramisu in Italian literally translates to ‘pick me up’ – and that’s exactly what this dessert is designed to do. After dinner when you’re feeling a l little sleepy, ready for a digestive nap on the couch, a serve of tiramisu will reverse that feeling thanks to the coffee and sugar contained in this most delicious dessert. 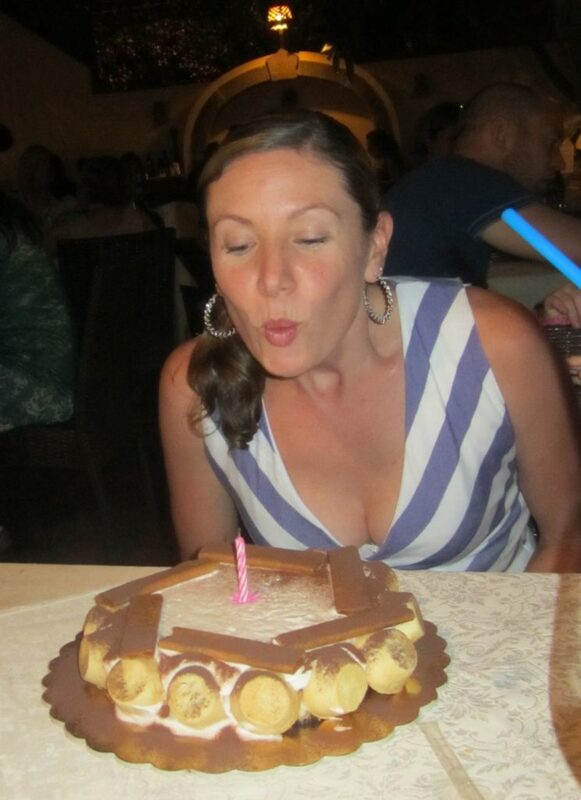 However, it wasn’t until we had tiramisu in Taormina in Sicily for my sister Susie’s birthday during our family trip in 2012 that I discovered a new way to make tiramisu. The Sicilian version we had was light, fluffy, yet still decadent and luscious. I loved that it was so light and didn’t sit heavily on my stomach after a big meal. Stiffly whisk the egg whites. In separate bowl, beat egg yolks with icing sugar until pale and fluffy. Add 2 tablespoons of Marsala and then gently fold in the mascarpone. Once combined, gently fold in the egg whites taking care not to knock all the air out of them. In a shallow bowl, mix coffee and remaining Marsala. Soak 3-4 sponge finger biscuits at a time for about 5 second each on both sides and place into a single layer in a rectangular dish. Spread a layer of the mascarpone cheese mixture over the biscuits. Repeat with another layer of coffee soaked biscuits and another layer of mascarpone mix. Crumble the flake over the top of the mascarpone mixture, leaving a few little chunks. Cover with cling film and refrigerate for at least three hours. 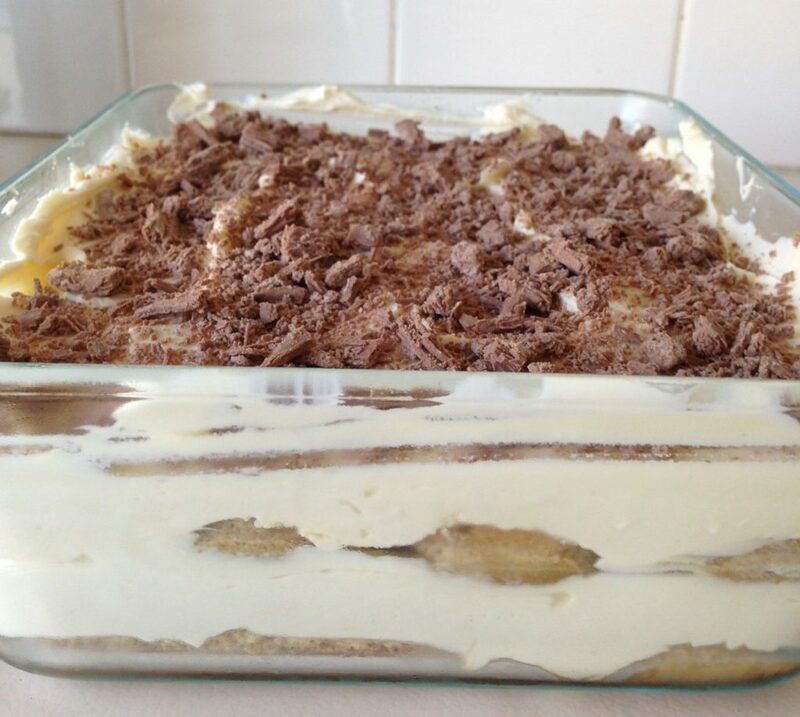 If you prefer a wetter or dryer tiramisu, soak the biscuits for more or less time. I prefer it fairly wet which is what this recipe allows for.